You like to drink beer, but how about soaking your food in it? And not in the "I'm hammered and it's 4am and that steak sandwich looks delicious" way. 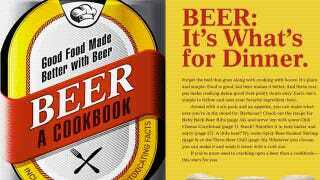 Your booze-related fare takes a bit more of a refined turn with the Beer Cookbook.